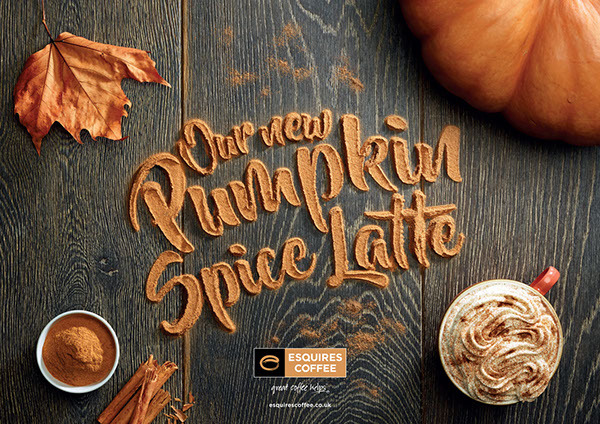 Esquires' Pumpkin Spice Latte is the coffee chain's hero product for Autumn 2016. 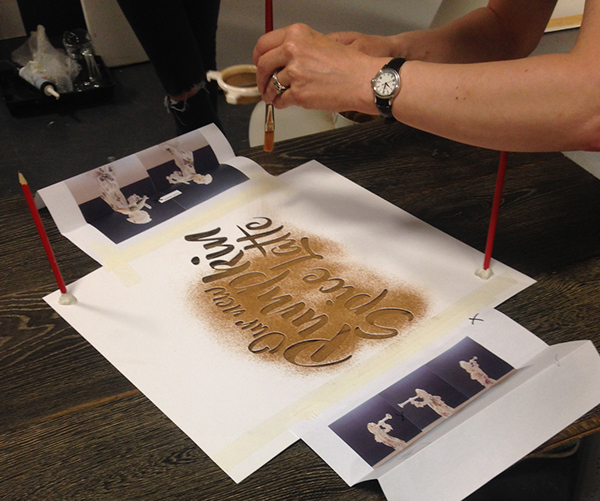 Go Creative were asked to produce a key visual that captured the Esquires brand points of being artisan and handmade, whilst conveying the products ingredients as authentic (and not just a syrup shot). Daniel Coleman is a graphic designer from Oxford, UX. He is working under Magnet Harlequin's creative umbrella, Go Creative. 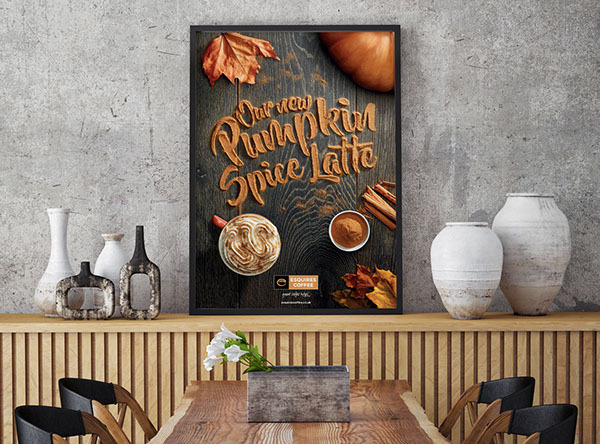 He produces motion, graphic and web design for a variety of national and internation brands including M&S, LG, Costa Coffee and Heinz. I have been posting a lot about branding and editorial design here on ABDZ. Most of these projects are very minimal with simple forms and most often not many details.